Traffic Parrot will help you if you are a developer or a tester. It will make it easier to develop and test your applications, microservices, and systems. You can use it for both manual and automated testing. All features are available to access from an intuitive to use Web User Interface. 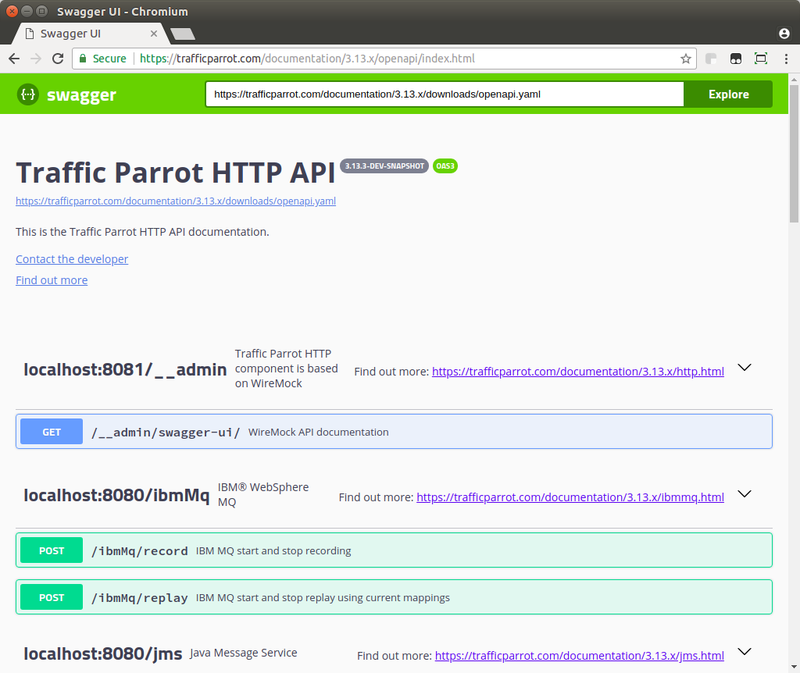 You can control Traffic Parrot via APIs which is useful when running automated tests in a Continuous Integration environment. You can also use Traffic Parrot Maven plugin or Gradle plugin. Several features will allow you to create both simple and advanced virtual services and mocks. You can get started quickly by doing a record and replay of your application requests and responses. 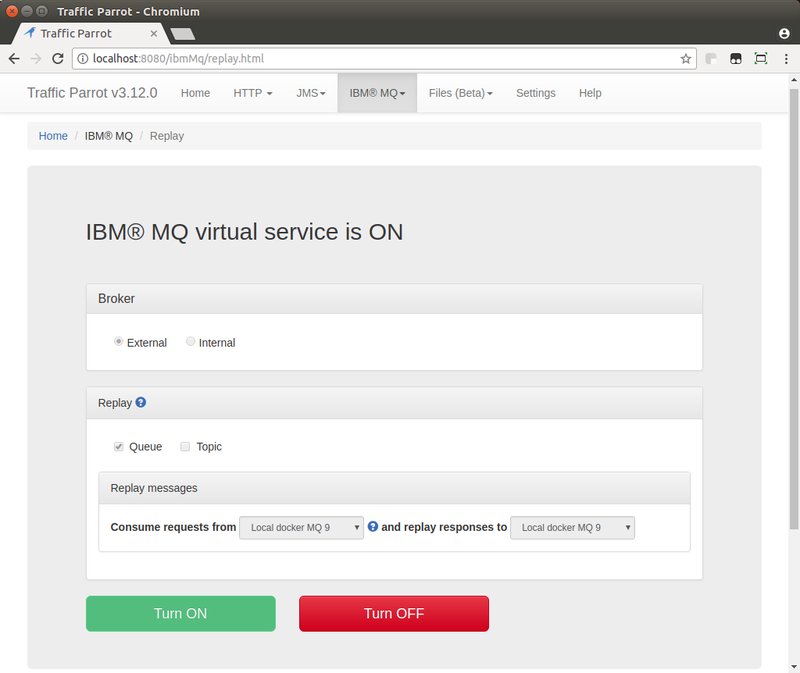 You can record and replay HTTP(S), JMS, IBM® MQ and file transfers. 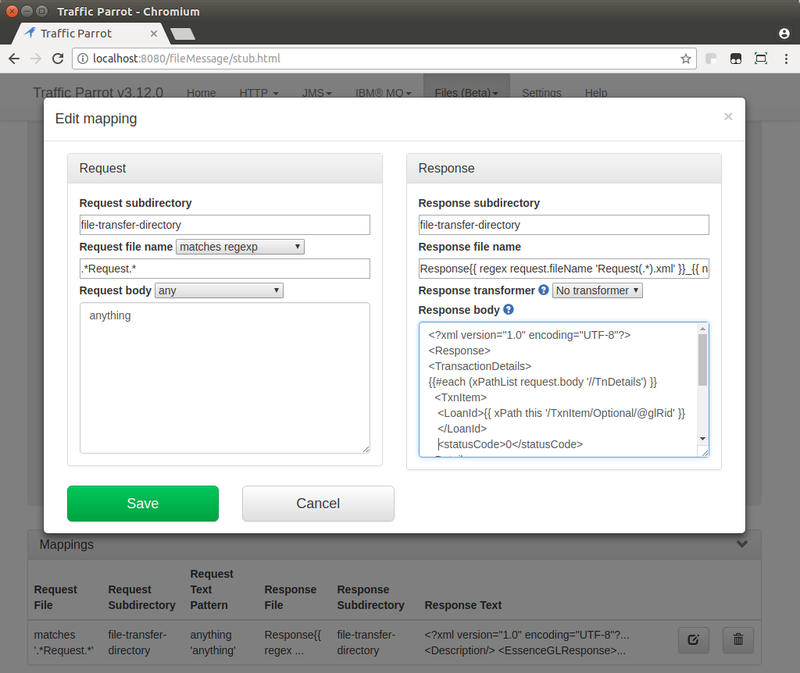 You can use scripting and templating to generate dynamic responses. 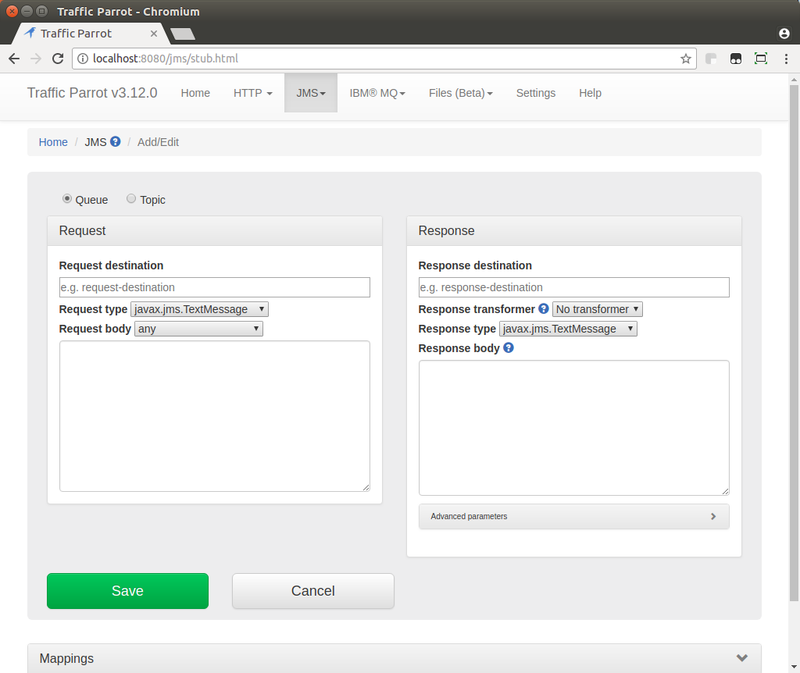 You can use the Maven plugin or Gradle plugin to start, stop and set up Traffic Parrot. 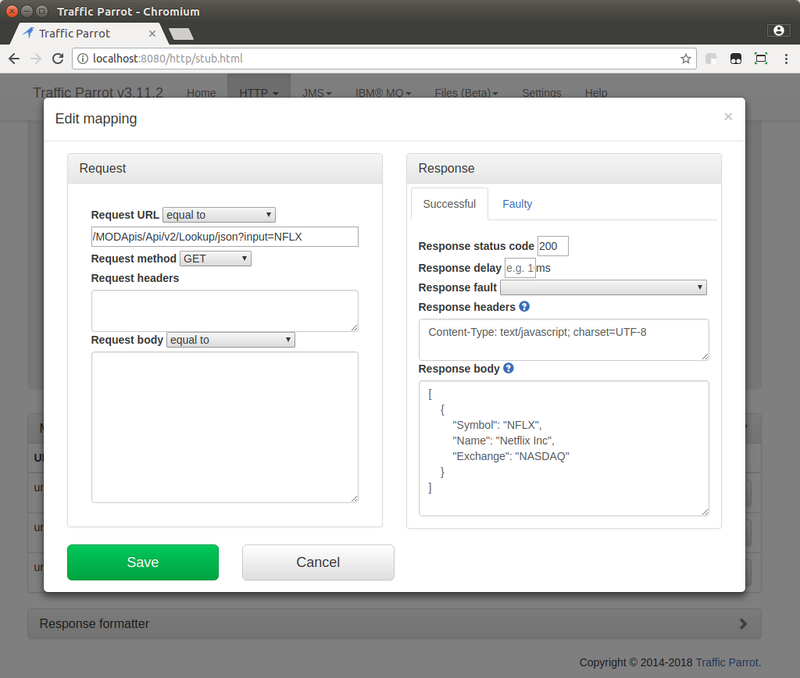 You can also use our HTTP Management API for starting, stopping and setting up mocks. 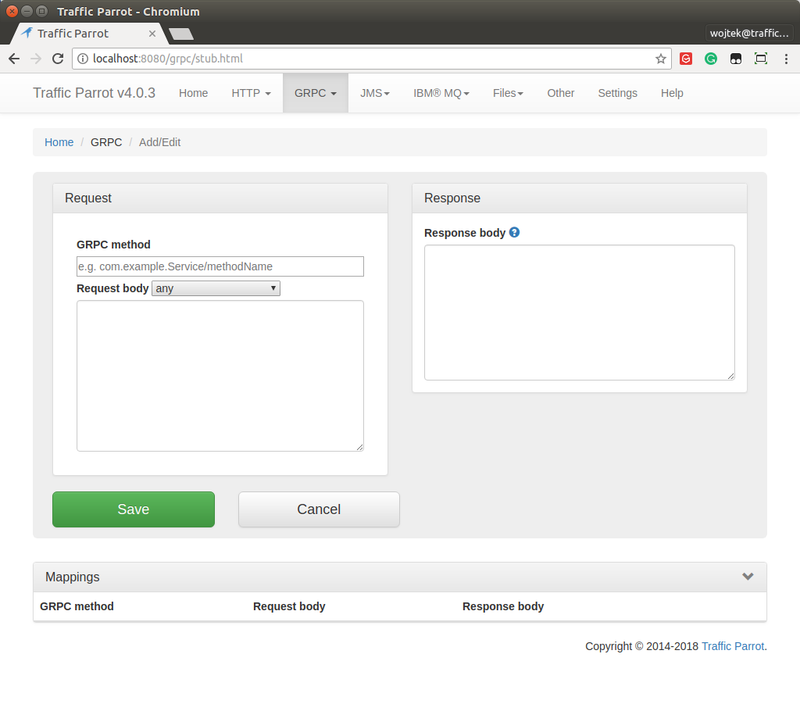 Traffic Parrot HTTPS(S) component is based on open-source WireMock. On top of all functionality provided by WireMock, Traffic Parrot includes support for main-in-the-middle HTTPS proxy recording and a passthrough mode. Traffic Parrot supports JMS for ActiveMQ and IBM® WebSphere MQ. For access to other brokers join our beta programme. We support local filesystem and network shares file transfers. We support unary RPC and server streaming. Join our Traffic Parrot Beta programme to access more protocols and features. Traffic Parrot has a small footprint (less than 50MB of disk space) and a flexible licensing model so you can deploy it manually or automatically in different types of environments. 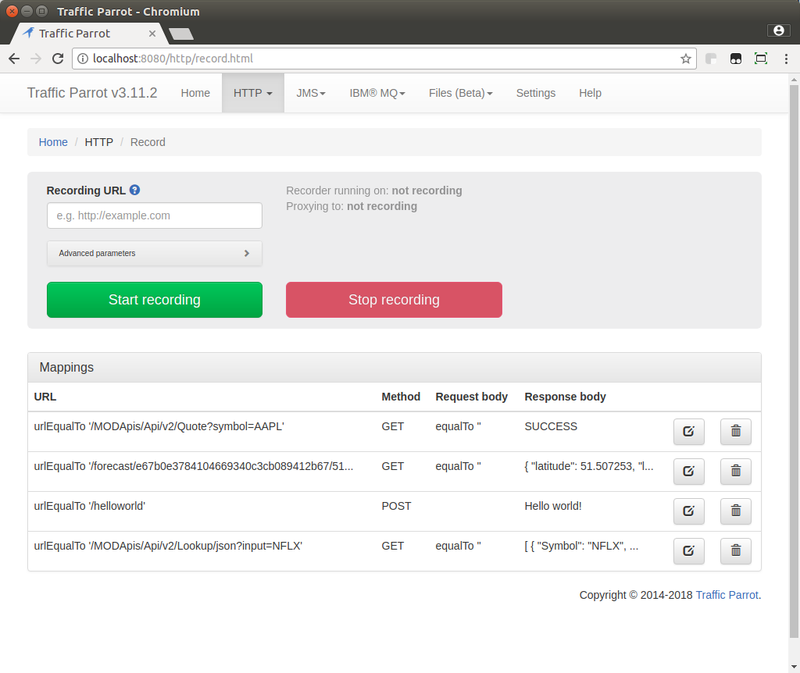 You can run Traffic Parrot in containers, clusters or cloud environments. For example Docker, Kubernetes, OpenShift, Amazon AWS, Microsoft Azure and Google Cloud. You can run Traffic Parrot in your Continuous Integration environment. For example Jenkins Slaves, TeamCity Build Agents, Bamboo or CircleCI. You can run Traffic Parrot on your laptop or VMs. You can run it on Windows, Linux, MacOS and other systems running Java 1.7 or later. at the 3-minute Quick Start guide. For automation, please see automated testing guide. Copyright © 2014- Traffic Parrot. All Right Reserved. TrafficParrot is a product and registered trademark of Traffic Parrot Ltd. Company number 10048075.